More and more research suggests that the neurotransmitter gamma amino-butyric acid (GABA, molecular structure pictured) is important in autism. In 2001, Dr. John P. Hussman published a novel hypothesis in the Journal of Autism and Developmental Disorders concerning the neurological basis of autism. Drawing together findings from genetic, clinical and neurobiological lines of autism research, Hussman proposed that much of the evidence on autism to date was consistent with disruption in the balance between excitation (the transmission or “firing” of nerve impulses), and inhibition (which raises a barrier to those impulses) in the brain. The main inhibitory and excitatory neurotransmitters in the brain are the amino acids GABA (gamma-aminobutyric acid) and glutamate, respectively. Hussman observed that pathology involving GABA receptors was a common thread in several suspected causative pathways of autism. Both disruption of GABA-mediated inhibition and excessive stimulation of glutamate receptors generated behavioral and neurological changes that mirrored what was observed in autism. Hussman proposed: “Although it is possible that the breadth of impairments in autism is caused by multiple defects in relatively independent systems, autism may instead reflect dysfunction in a single factor shared in common by many systems.” He specified that this shared factor may be the regulation of inhibition by GABA, leading to the over-stimulation of glutamate receptors on neurons, and resulting in excessive neural activity and difficulties in “gating” sensory information. Later that year, Dr. Gene Blatt, then at the Boston University School of Medicine and now Director of Neuroscience at the Hussman Institute for Autism, published independent research in the same journal, providing the first direct evidence that the GABA system is altered in autism. Blatt and his team found that in autistic brains, there were fewer sites where a chemical called benzodiazepine could bind to GABA receptors. A separate direct test for the presence of GABA receptors also showed fewer receptors in autistic brains. The team tested six other chemicals and their respective receptors, and found no difference between the typical and autistic brains, strengthening support for the idea that GABA has a real effect in autism. Two years later, Drs. John Rubenstein and Michael Merzenich, citing Hussman’s work, used the term “E/I imbalance,” for the “excitatory/inhibitory imbalance model” of autism. 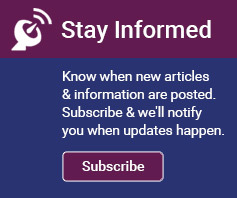 Their review framed the hypothesis of altered excitatory and inhibitory neurotransmission in autism in terms of a ratio: “a model that postulates that some forms of autism are caused by an increased ratio of excitation/inhibition” affecting sensory, learning, social and emotional systems. The review went into detail about how several specific systems could be affected by an altered E/I balance, such as sensory systems. Individuals with autism can be especially sensitive to sounds, textures, or light. That sensitivity could be caused by general over-stimulation in the brain, a result of reduction of inhibitory GABA. They echoed Hussman’s proposition that with lower inhibition from GABA, the brain may be less able to filter out “noise” in signals sent within the brain, resulting in an over-stimulated system and a very uncomfortable experience for the individual. Rubenstein and Merzenich also discuss how such cortical “noise” early in development could have long-term effects on brain development and processes from speech to memory to sensory perception. The review by Rubenstein and Merzenich observes that the neurotransmitter serotonin also plays a role in regulating GABA-driven inhibition, and is associated with autism. Polychlorinated biphenyls (PCBs), too, can increase glutamate signaling. PCBs were commonly used in fluid coolants and other industrial applications until they were banned in the 1970s for environmental and health reasons. In the end, Rubenstein and Merzenich share Hussman’s previous conclusion that reduced inhibition from GABA can affect a wide range of neural processes associated with autism, and that greater understanding of excitatory/inhibitory balance in autism should be a target of further research. Research teams have explored the role of GABA in autism since Hussman’s original hypothesis in 2001. 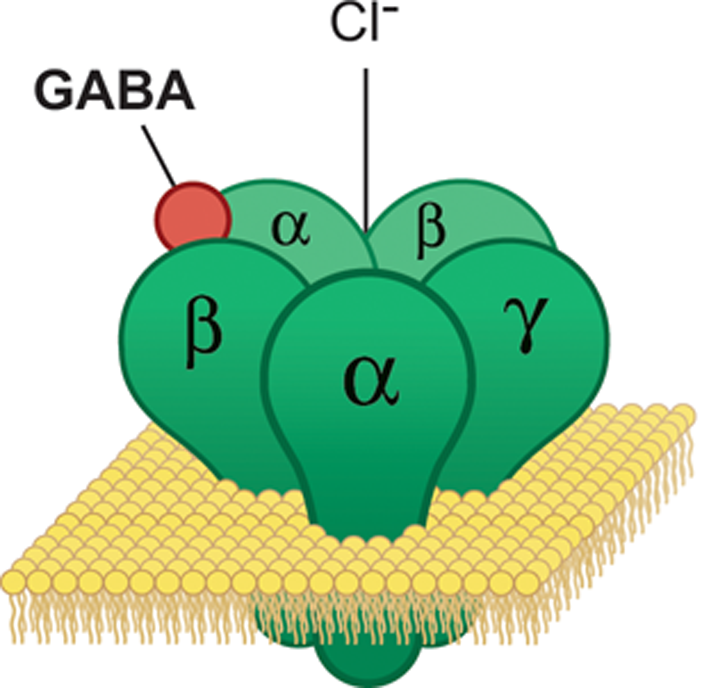 In 2003, Casanova, Buxhoeveden and Gomez suggested that the role of GABA in autism may be related to the structure of the brain’s neocortex. In individuals with autism, they found fewer GABA-mediated fibers in structures called “minicolumns,” where those fibers are typically abundant. In 2005, Ma and colleagues examined 14 genes that code for GABA receptors in 470 families with at least one member affected by autism. Several different statistical analyses suggested that the gene GABRA4 could be involved in some autism cases, exerting its effect via interaction with another GABA receptor gene, GABRB1. In 2007, Yip, Soghomonian and Blatt (author of the 2001 paper) published results indicating lower levels of two genes, GAD65 and GAD67, in the cerebella of individuals with autism (TRANSLATE 1/14/16). Both genes convert a precursor molecule to GABA. Lower levels of these genes could result in reduced GABA, and therefore less inhibition in the cerebellum, again linking excitatory/inhibitory imbalance to autism. By finding a common thread in apparently disparate factors associated with autism, these findings shine a light down the tunnel toward understanding the causes of autism. While that light may not shine to the end of the tunnel just yet, it allows scientists to take confident steps forward in their attempts to unravel the complexities of this condition. Blatt GJ, Fitzgerald CM, Guptill JT, Booker AB, Kemper TL, Bauman ML. (2001). Density and distribution of hippocampal neurotransmitter receptors in autism: An autoradiographic study. Journal of Autism and Developmental Disorders, 31(6):537-543. Casanova MF, Buxhoeveden D & Gomez J. (2003). Disruption in the inhibitory architecture of the cell minicolumn: implications for autism. Neuroscientist, 9(6):496-507.American Journal of Human Genetics, 77(3):377-388. Hussman JP. (2001). Suppressed GABAergic inhibition as a common factor in suspected etiologies of autism. Journal of Autism and Developmental Disorders, 31(2): 247-248. Rubenstein JLR & Merzenich MM. (2003). Model of autism: increased ratio of excitation/inhibition in key neural systems. Genes, Brain and Behavior, 2:255-267. Yip J, Soghomonian JJ & Blatt GJ. (2007). Decreased GAD67 mRNA levels in cerebellar Purkinje cells in autism: pathophysiological implications. Acta Neuropathologica, 113(5):559-68.